Open seven days a week. From mid October to mid March we are open with our shorter winter trails. Booking is Essential. 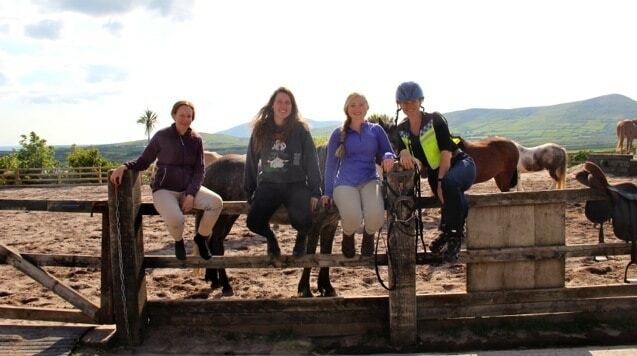 We can accommodate everyone from a beginner in search of a fun and memorable introduction to horse riding, to advanced riders searching for exciting and challenging rides in open country; from kids enjoying a pony ride in our open arena to older children following alongside a trek and accompanied by their on personal guide. We organise everything. 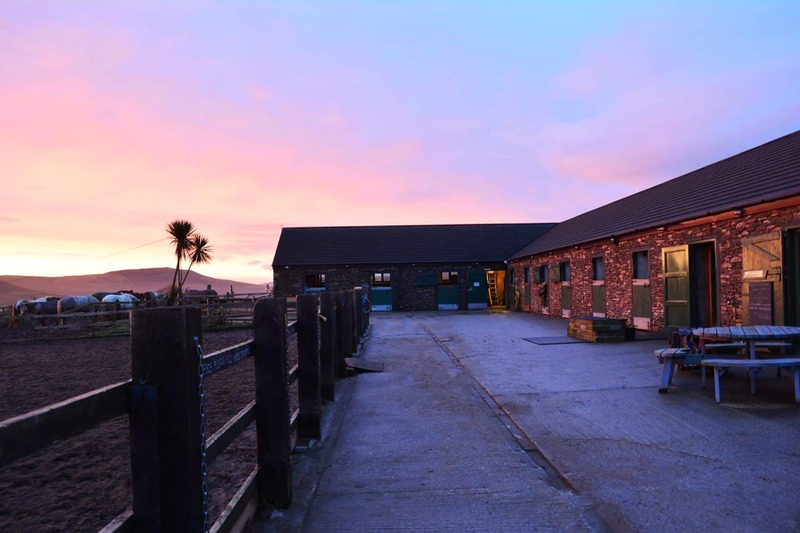 Superb horses, superior facilities, quality accommodation, and, of course, adventurous rides through the magnificent Irish countryside. 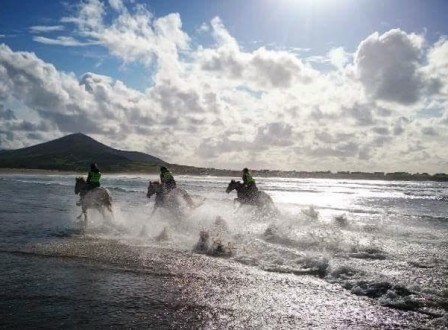 So all you have to do, is enjoy your time with us whilst experiencing the riding holiday of a lifetime! 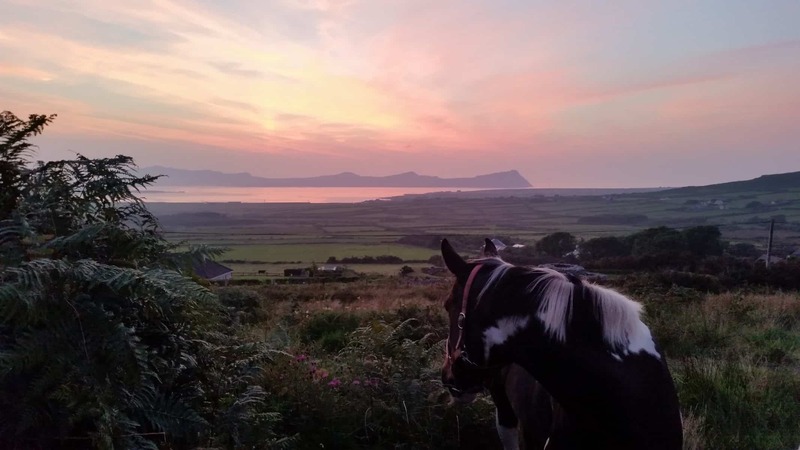 Since 1989 Dingle Horse Riding has become one of the most popular destinations for horse riding holidays in Ireland, offering inclusive, residential and post-to-post equestrian adventures. We invite you to visit and let us introduce you to riding on the magnificent Dingle Peninsula, a haven for beach riding and mountain trekking. 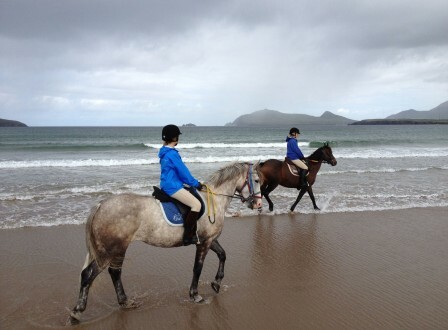 My daughter and I rode on Tuesday with Dingle Horse Riding. They are delightful people and were safety conscious and thoughtful. My daughter is an experienced, 11 year old rider and they made sure she had a safe pony. All horses were in great shape and well mannered. The trek was stunning – the views are breathtaking. Our canter was exhilarating! Our guide was so kind and easy to work with. This was a fantastic experience! Great two hour ride with gorgeous views. 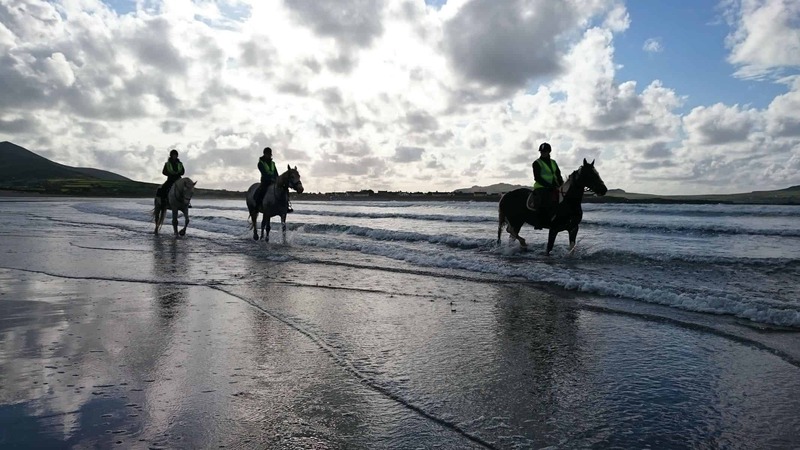 Horses seem well-taken care of staff is very careful about safety gear and precautions. 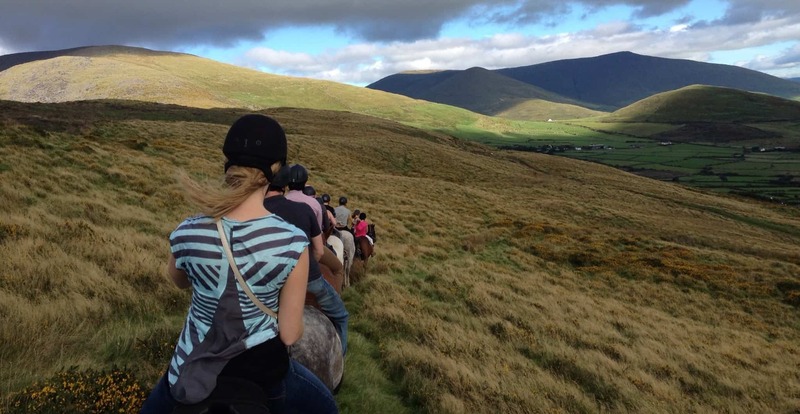 We absolutely LOVED our horseback ridie up into the mountains overlooking Dingle Bay. The views were BREATHTAKING. I’d highly recommend this experience. I took my almost 13 year old daughter on a week long trip to Ireland, and this was the highlight of our amazing trip. The horses were sweet, well trained, and cooperative (Bob & Marley). The guides (Emily & Audrey) were fantastic. Loved every moment & will cherish it forever. Best week and time of my life! 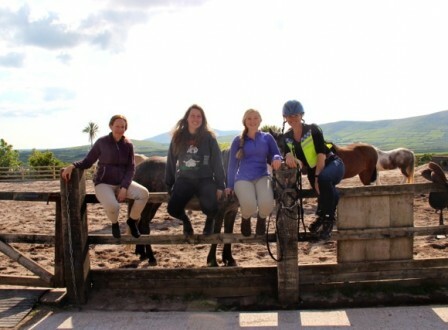 So grateful I had the opportunity to do a riding holiday with Dingle horse riding. 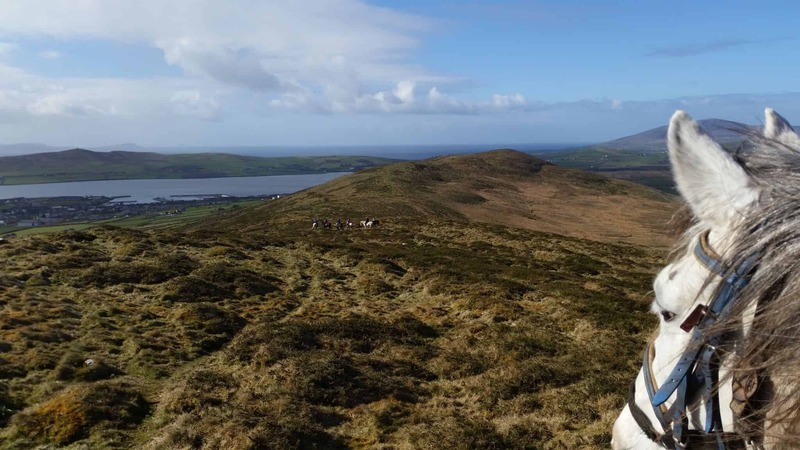 My horse was excellent, the guides and staff were lovely, and the Dingle Peninsula is breathtaking. 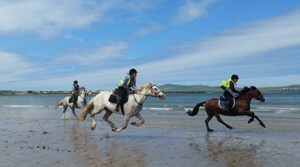 I love to gallop the beaches; it is so exhilarating you feel as if you are flying. 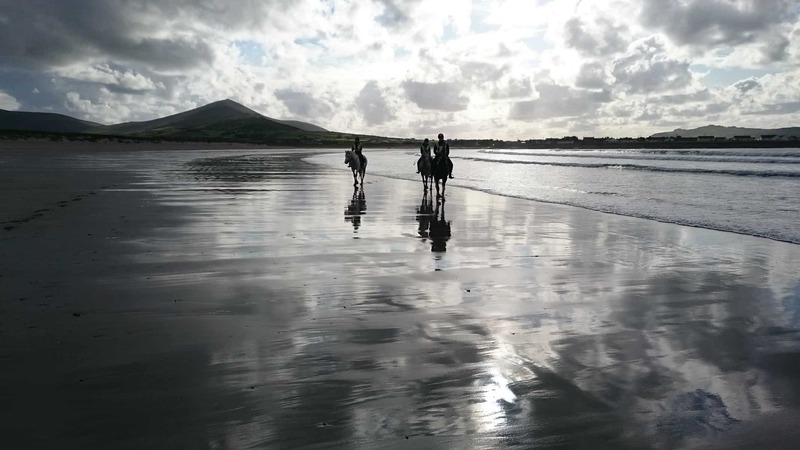 The most fun I’ve ever had on a horse was on the Dunes in Inch beach. I have been riding all my life and I will never forget this adventure. I hope I get to do it again one day. Even if you are german, the Guides take care for you and find an easy and nice way to explain everything for you!